Sam has been an Accredited Podiatrist since 2002, following completion of a B.Sc. Podiatry at the University of South Australia. His passion for sports medicine and health care was ignited while training for international competitions at the Australian Institute of Sport. 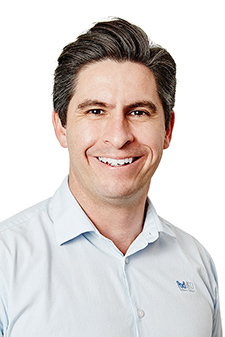 In addition to general podiatric treatment, Sam specializes in lower limb biomechanics and postural alignment, sports injuries of the lower limb and children’s podiatry. Sam has a very strong commitment to patient education and involving patients in their health care. He is driven by finding solutions to patient health problems; no challenge is too great or too small. 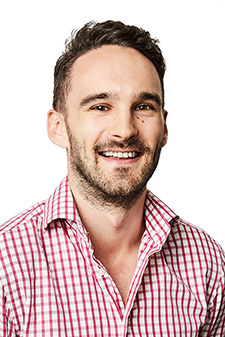 Sam is a member of the Australian Podiatry Association and of Sports Medicine Australia, and he is also an on-call Podiatrist to St. Vincent's Private Hospital. Ed is passionate about helping people understand how their body moves and functions, through the frameworks of foot and Leg care. He is a patient and person focused Podiatrist. Over and above that, he is an excellent communicator. He places importance on explaining complex problems in simplified and accessible ways. Ed takes exceptionally good care of his patients and we are very lucky to have him on our team. He is a Podiatrist with a background in Human Movement, and also has a wealth of experience with athletic and running products. A keen sportsman, Ed plays AFL and has enjoyed success as a young athlete and cricketer. More recently, he has developed a love for running –both on and off road. He has experience with coaching school athletics and football, and has worked internationally for a specialist outdoor education company. He also enjoys cycling and has presented at the Tour Down Under cycling village on foot and leg biomechanics. He has worked extensively with many leading dance schools, helping a range of the country's most exciting classical, contemporary and competitive dancers. Ed has experience in using manual therapy techniques such as dry needling, foot mobilization, muscle testing and strengthening as part of a well-rounded approach to his Podiatry care. Ed is a fantastic communicator, a learned Practitioner responsible for PodMED's in-house practitioner education and above all, a real gentleman. Originally from Brisbane, Felicity graduated from the Queensland University of Technology with a Bachelor of Podiatry with Distinction. Felicity has an excellent eye for detail and thoroughly enjoys all aspects of clinical practice. She is a warm, caring and friendly Podiatrist who's passionate about providing great experiences for her patients. Felicity loves the diversity of each day as a Podiatrist and being able to make a real difference in other people’s lives. Growing up, Felicity enjoyed success as a representative level netballer and has more recently coached and umpired at numerous state netball competitions in Queensland. These experiences have instilled a passion for helping other young athletes to achieve their goals and perform at their very best. Outside of work, Felicity enjoys travelling and discovering new places and is excited to further explore her new home of Sydney. Felicity is a bright asset to our team at PodMED Podiatry. For those who've been lucky enough to meet Felicity already, will most certainly agree. Lore is not your ordinary receptionist. She is outgoing, friendly, polite and caring, character traits that come in handy in her current role with us. Lore’s passion for both taking care of people, helping and assisting others was ignited in her former role as a flight attendant. She loves flying and travelling the world! It is not a surprise then really that one day she would meet her Australian partner in life in a country far away to then move to our beloved Sydney. Before this big adventure begun, she studied Secondary Education French and English to improve her language skills. Lore has added a European influence to our practice. Originally from Belgium, she is able to speak 4 languages! You’ll occasionally hear a guten tag or an au revoir or she’ll tell you about her home country whilst you wait for your appointment with a nice beverage on our comfy lounge. Lore enjoys having her daily chats with our patients and providing them with excellent experiences. She has an eye for detail and a ‘get things done’ ethic. But most importantly, she loves making sure our visitors feel welcome and very well looked after.